On May 25th, MEA-nl has been accredited according the ISO/IEC 17025 Laboratory standard. We are very proud of this achievement, which can be considered as another milestone in our history. The standard enables MEA-nl to deepen its activities in the maritime ballast water market, but also widens MEA’s potential for many other market segments. Analysis of biological parameters and microbes are often executed by external, third-party laboratories. Having obtained an ISO 17025 standard, MEA-nl aims to carry out more of these analyses ‘in house’. MEA-nl had already obtained ISO 9001:2015 certification, and – according the new standard – will further focus on on-going improvement of good laboratory practice. Among other requirements, the ISO 17025 standard obliges to participate in proficiency tests, in which test results from various laboratories are compared. ISO 17025 can be regarded as a basic condition to compete in the wide market of international acclaimed laboratories. Work methods and procedures are described, validated and evaluated and continuously improved. 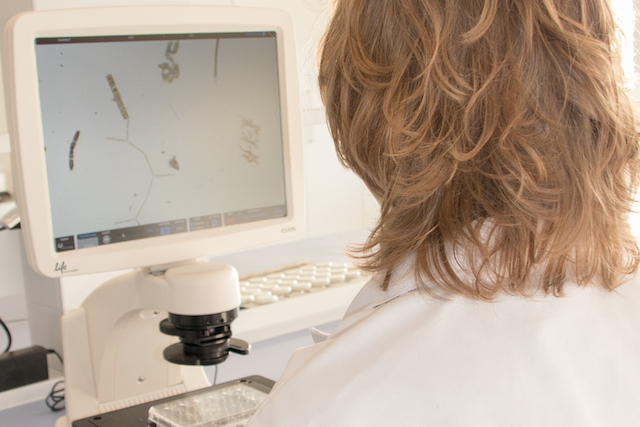 In months to come, MEA-nl will work on the certification of dedicated biological, and physical analytic methods. The nature of analysis of the ballast water has a considerable overlap with needs in other sectors. In many water treatment that involves (a-)biological analysis, we consider our expertise to be useful. Examples of industrial application of biological water analysis are agriculture (flower bulb market, vegetables) and aquaculture industry, such as the shellfish sector. In these sectors, analysis and control of biological components in fresh, brackish and salt (marine) water is very relevant. Besides invasive species, control of pathogens (bacteria, viruses, fungus) is a main concern in many industries. MEA-nl’s ambition is to widen the scope of its laboratory to other than the maritime market. You are very welcome to visit our laboratory, test facility and office in Den Oever, the Netherlands. Please click here to contact us.